Donald Marion Claycomb, age 83 of Hardinsburg, KY died Friday, November 30, 2018 at his home with his wife of 61 years at his side. He was born in Ammons, KY on June 17, 1935, the son of the late Virgil Preston and Mary Lucille Lewis Claycomb. Donnie was a veteran of the United States Navy and served 4 years in the Pacific Fleet. He was a member and Deacon Emeritus at New Bethel Baptist Church where he was a Sunday School teacher and music director. He was a former employee of Blancett Motor Company, True Value Hardware and retired from Smith's Welding. He sang with a group that entertained the residents of Breckinridge Memorial Hospital and Hardinsburg Nursing and Rehab. 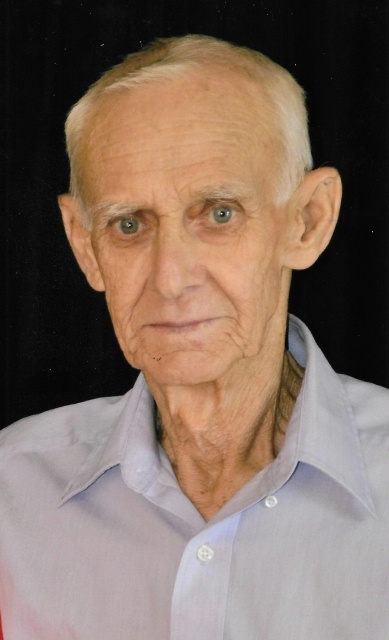 He had many interests that include farming, making jewelry and furniture, gardening, tooling leather, building and playing dulcimers and other instruments as well, singing and stringing cane bottom chairs. Many people didn't know Donnie as a homemaker, but he was one of the best, learning from his great grandmother. In addition to his parents, he was preceded in death by his brother Vincent Claycomb. Funeral services will be held at New Bethel Baptist Church 474 Highway 2779 Hardinsburg, KY 40143 with Rev. Jeremey Earnest officiating. Burial with military honors will be in the church cemetery. Visitation will be held at Trent-Dowell Funeral Home 308 South Hardin Street Hardinsburg, KY 40143 on Sunday, December 2, 2018 from 4 - 8 PM and Monday 8 - 10:30 AM. Expressions of sympathy are suggested to New Bethel Cemetery.